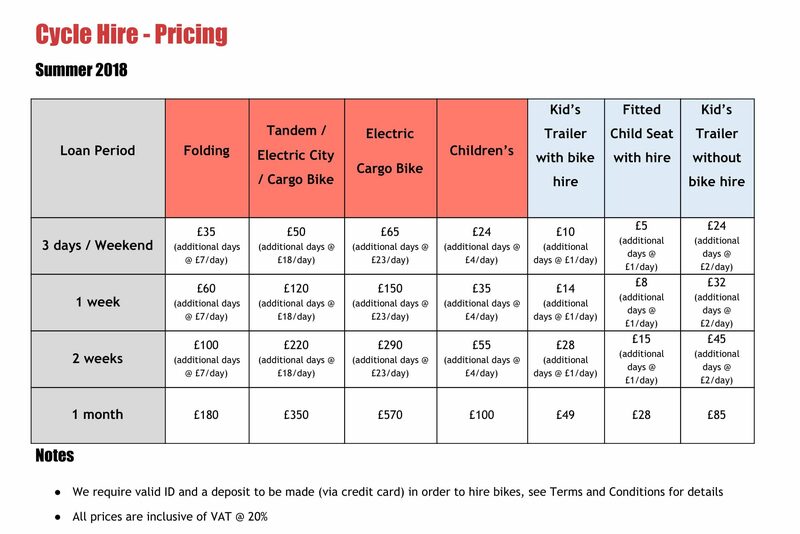 We have a limited range of specialist bikes available to hire for up to a month, including cargo bikes, folders, tandems, electric bikes and childrens bikes. Bikes are available by prearrangement only so we can have them prepared and ready. To book, get in touch via the contact form below. Choose a folding bike, if you regularly need to get to the station or put your bike in the car for a part of the journey. We use Brompton folding bikes which are world renowned for being the quickest, simplest and all round best in the market. Tandem - Circe Cycles "Helios"
The Helios tandem is designed just outside Cambridge by the fantastic Circe cycles and is perfect for children. Its 20″ wheels means it’s really compact, super light and there’s enough range on the seat post for it to be suitable for 3 year olds and up. We’ve got special crank adaptors for small people. Tandem - Circe Cycles "Morpheus"
Our Morpheus is the perfect tandem for touring. It’s really sociable as both riders sit with their heads close together and what’s more, the stoker lies in a comfortable laid back position. It’s made by Cambridge firm Circe bikes and is one of our favourites!